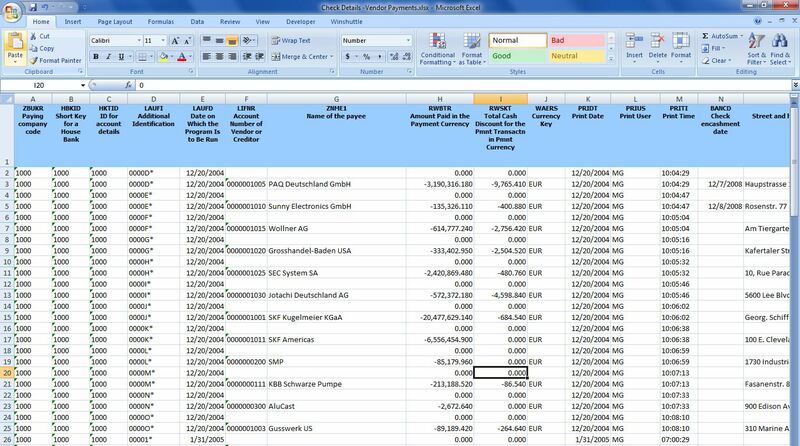 Winshuttle Query enables users to download vendor invoice data directly from SAP to Excel. They can then quickly and securely create ad-hoc reports, without programming expertise. Business leaders can use these reports, which are based on timely and accurate data, to make better operational decisions that affect purchasing, inventory management, and accounts payable. With Query, users can more efficiently match SAP invoice and purchase order data; check the accuracy of invoice content, pricing, and accounting; and match invoices and credit memos received from vendors. With Winshuttle Transaction or the Winshuttle Runner Excel add, users can correct any data discrepancies in Excel and then upload the data directly to SAP. In what formats can Query output data? 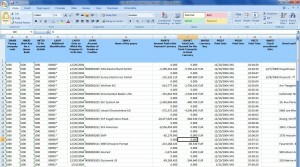 Query enables users to download SAP data directly to Excel, Access, Text, XML, SQL, or Forms. My company does not allow use of SE16, SQVI or SQ01 due to SOX compliance. Can we still use Winshuttle Query? Yes. Query can be used as an alternative to SE16, SQVI, and SQ01 and it enables companies to maintain compliance with internal and external regulations. In addition to preserving standard SAP security, Query also adds organizational-level controls to restrict data access by plant, company code, purchasing organization, distribution channel, and other criteria. Users who have access to Runner can only view the data accessible to them and are constrained by the designer’s report parameters.